From 6 December, the general public will be able to discover the Fin de Siècle Museum and its collection of works by Belgian artists such as James Ensor, Fernand Khnopff, Léon Spilliaert, Victor Horta, Henry Van de Velde or Philippe Wolfers, as well as big names such as Paul Gauguin, Auguste Rodin, Pierre Bonnard, Émile Gallé, Louis Marjorelle and Alphonse Mucha. The museum will form part of the Royal Museums of Fine Arts of Belgium (RMFAB) umbrella institution. The Fin de Siècle Museum will take visitors on a journey through the art of the late 19th and early 20th century as framed within its historical context: landscape and modernity, De Coster and the birth of Belgian national literature, the rediscovery of the Primitives, Rops and Baudelaire, social art, the reception of Impressionism, literary and pictorial symbolism, Péladan and idealism, the decorative arts between Brussels and Nancy, La Monnaie and Wagner, Brussels and Art Nouveau, Spilliaert, Minne, Maeterlinck, the first Laethem School? An extensive programme that offers a comprehensive overview by combining the exhibition works with modern technological resources. To achieve this goal, the Royal Museums of Fine Arts of Belgium works in joint partnership with the Royal Library of Belgium and La Monnaie Royal Theatre, as well as the Brussels Capital Region, which has donated on loan the extraordinary Gillion Crowet Collection, one of the highlights of the museum at the end of the visit. The Fin de Siècle Museum is set to become one of the jewels of our heritage. 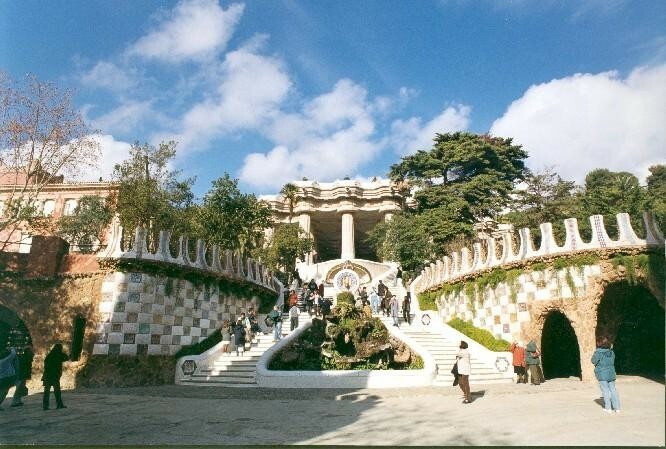 As of 25 October 2013, entrance to Park Güell is now by entrance ticket. The aim of this Barcelona City Council initiative is to limit visitor numbers in order to protect and preserve this architectural complex, designed by Antoni Gaudí. All profits from ticket sales will be used to maintain the site. Ticket prices are subject to discounts depending on the age of visitors. Barcelona residents wishing to have free access must register with the Citizen Advice and Information Centre in Plaça de Sant Miquel. Registration means that they will form part of the Gaudir+BCN community, from which they can book entry and enjoy many other benefits. The Barcelona City Council has created this community in order to promote Park Güell and the work of Antoni Gaudí. Special Mention of the Jury" of the 2013 Europa Nostra Awards for the Réseau Art Nouveau Network! The Réseau Art Nouveau Network received a special mention from the jury in the framework of the Europa Nostra Awards 2013/European prize for Cultural Heritage, of which the ceremony took place in Athens on 16 June 2013. Candidate in the category 4 "Education Training and Awareness-Raising", the Réseau Art Nouveau Network is part of "projects with an outstanding contribution to the conservation and enhancement of heritage which were recognised and particularly appreciated by the Juries". A great recognition of the common work achieved since 1999 by the members of the Network! 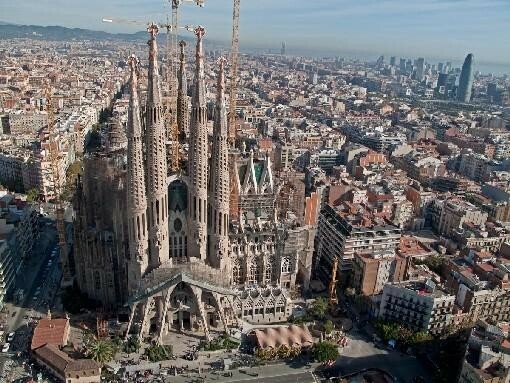 The Sagrada Família has produced a video showing what the Temple of the Sagrada Família will look like once work has been completed. Entitled "2026 We are constructing for tomorrow", the 90-second video provides a virtual, bird´s-eye view of the yet-to-be-built elements rising into the air and how the building will look when completed. The finalisation of construction work is planned for 2026 to mark the centenary of the death of its architect, Antoni Gaudí. This news is being displayed in Spanish.